What Are Some Interesting Pieces of News that Have Come Up? 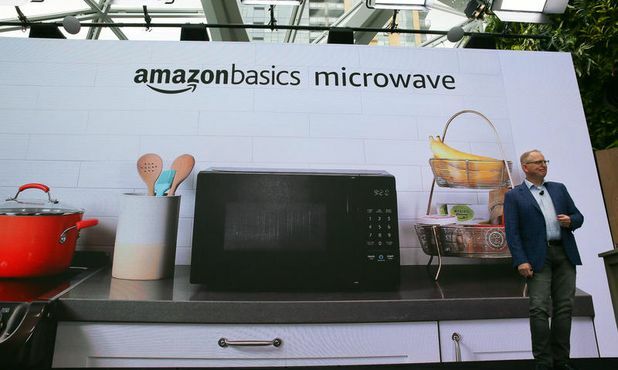 For starters, Amazon has announced the AmazonBasics Microwave, which is an excellent example of the Internet of Things that is coming into existence. In short, the microwave is a smart appliance that comes with a number of useful features. For example, its user can use their voice to command the microwave to cook several kinds of preset food. Furthermore, the microwave comes with a wi-fi connection, which enables it to reorder more popcorn from Amazon's Dash service whenever the supply runs short. For those who are curious, the AmazonBasics Microwave won't be released until November 14 but can be preordered in the meantime. On a separate note, GoPro has made a camera that is $400 more expensive than its predecessor but could very well prove to be worth that price upgrade. This is because the new GoPro Hero 7 comes with a much-improved stabilization system that can turn even the shakiest footage into something much more watchable, thus making it an excellent choice for people who like to film scenes with plenty of action. It is unclear how much of the stabilization system comes from enhanced sensors and how much of the stabilization system comes from enhanced software, but whatever the case, the results speak for themselves. For something less commercial in nature, researchers at Queen's University in Canada have come up with something rather curious. Smartphones have been becoming flatter and flatter for some time, but some parties have been working on other smartphone concepts as well, with an excellent example being the foldable smartphone that has been making a fair amount of progress in recent times. What is amusing is that the researchers at Queen's University have come up with a cylindrical touchscreen device called the MagicScroll for the simple reason that is what it happens to resemble. Currently, the MagicScroll isn't particularly impressive. As a result, there is no real reason to believe that it will be making a transition to the consumer market anytime soon. However, it is an interesting proof of concept, so if further refinements continue to be made, it will be interesting to see what could come from it.